Take whole bulbs, slice across the top fourth, soak in cooking oil or coat in fat for an hour then bake in a hot oven until browned; what a wonderful aroma, what a wonderful taste! 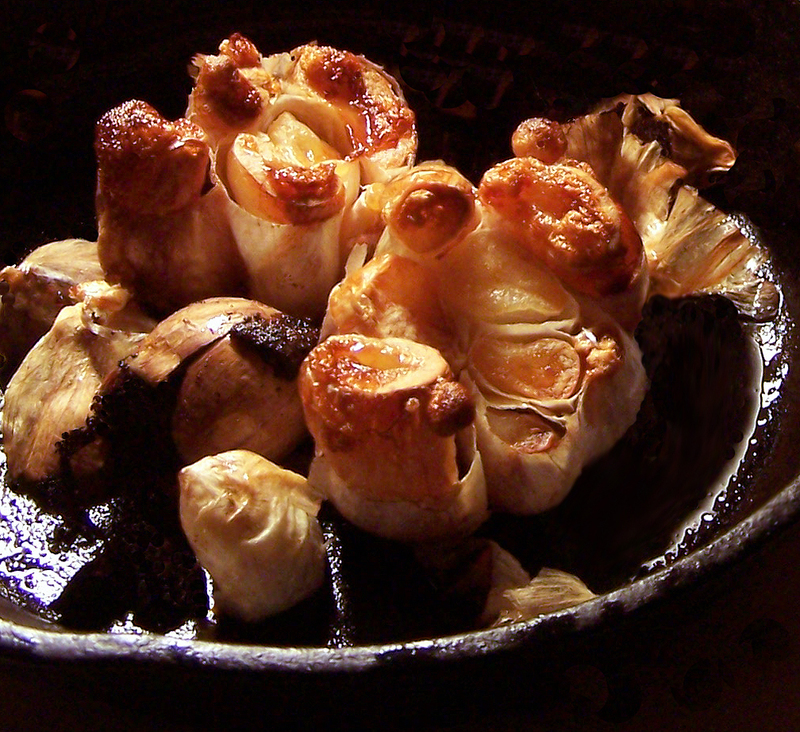 I sometimes roast an entire bulb, and mix the mushed up cloves with a little olive oil, lemon juice and chives. It’s great on toast.